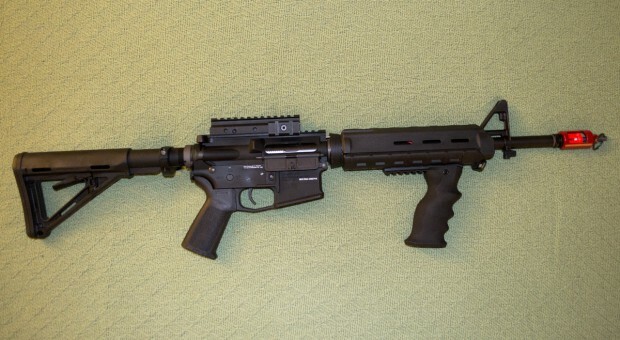 “Airsoft gun makers have been trying hard for several years to create realistic recoil/blowback systems in their AEGs. Early, piston-driven designs caused additional wear on your internal components and new pneumatic systems from companies like G&G, while not putting undue wear on your internals, don’t really add much recoil to using the airsoft gun. Gas blowback airsoft guns have usually had no problem getting recoil effects due to their design. It is that reason, along with their usage being very similar to real-steel firearms, that they are used a lot for training purposes. Unfortunately, using a gas blowback rifle has disadvantages when the temperature is taken into account. Gas blowback airsoft rifles perform poorly in cold weather as the gas inside their magazines condenses due to the temperature. So, the goal is to create an AEG which has recoil comparable to a gas blowback rifle and can be used for training no matter what temperature it is taken to. Enter: The PTS RM4 ERG. The external design of the PTS RM4 ERG (try saying that five times fast) is nothing you haven’t seen before with other PTS Magpul rifles, but that doesn’t mean it’s any less impressive. It features all PTS Magpul furniture with official trademarks and comes equipped with a flip-up rear MBUS sight and a-frame forward sight. The outer barrel is 14.5″ inches in length and the gun features a 6.05mm tight bore inner barrel. The gun’s coloring is all muted black and gunmetal, giving an overall aggressive tone. 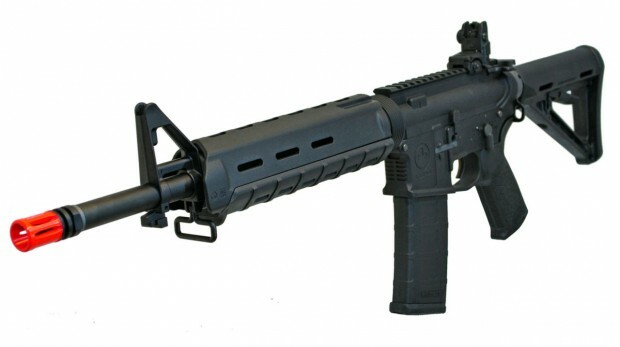 While this is technically a licensed airsoft gun from Magpul’s Professional Training System series, the gun was developed by PTS and manufactured by Yih Kai, the primary factory used by KWA. Yih Kai has long-been known for crafting well-built, solid out-of-the box airsoft guns and this is no exception. The PTS RM4 ERG weighs in at a solid 7.42 lbs and I couldn’t locate any “wobble” in it at all. For its purpose as a training rifle, the thing definitely feels as though it can take a beating. Here in the U.S., the gun is being co-distributed by KWA and PTS. Tags: gamingshogun.com, Magpul PTS, RM4 Commenting is closed.